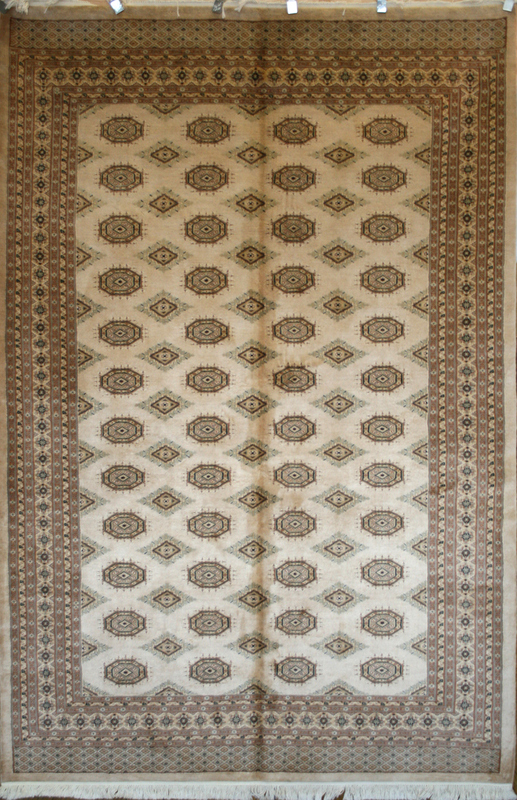 To view all our Jaldar & Bokhara rugs click here. Jaldar rugs are an Afghan design exported from Pakistan with its roots in the traditional Sarooq and Yamoud designs. These rugs use symmetrical knotting (single knot), with piles composed of treated or brushed wool which gives it a silk touch feel. 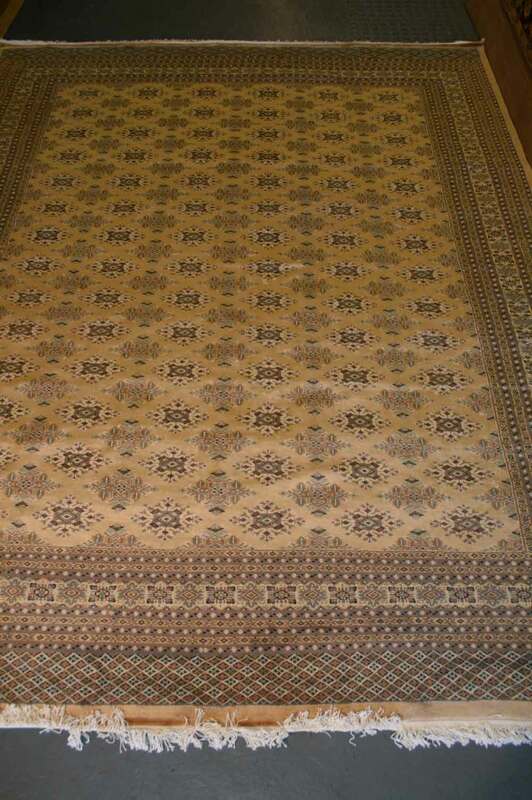 Like most Afghan rugs they are exported from Pakistan due to the trade restrictions and difficulties within Afghanistan. Based on a cotton foundation Jaldars can be confused to Bokharas due to the similarities in design and materials. The difference between the two lies mainly with the guls used which are more angular and diamond-shaped in the Jaldar rugs like that in the rug above while the Bokhara rugs are more similar to the Turkmen rugs with rounder guls, similar to the rug below. The knot counts of fine quality Jaldar rugs, such as those listed here, range from 120 to 240 KPSI. We list both Jaldars and Bokharas under the name Jaldar as they are so similar in materials, quality and design. We believe this makes it easier to find a rug in this particular design.